Could one of Avendim Media’s clients, be responsible for ending the government shutdown? Large amounts of Pizza Boli’s products were delivered by a congressional aide shortly before the bipartisan deal was struck. 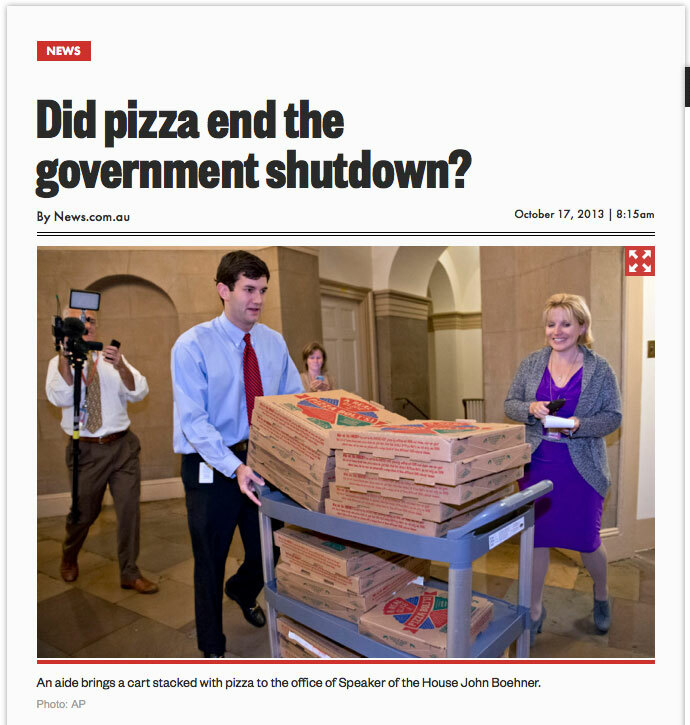 The New York Post claims that “now pizza can claim to be the food responsible for ending the US government shutdown and averting a global economic disaster.” Check out the article HERE. And, if you live in the Maryland/Washington, D.C. area, celebrate with a Pizza Boli’s pizza tonight! Look at those awesome looking delivery boxes (that we helped design)!